Yes, I Want To Know What My Property Is Worth! 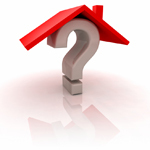 The Real Estate market is constantly changing, making it difficult to always assess the current value. As a trained REALTOR®, I have the right knowledge and tools to determine your home's value. What is your property worth in today's market in Stony Plain, Parkland County, Spruce Grove or the Edmonton area? Let me help! By utilizing a "Right Price Analysis", we will be able to assess what your property is valued at today. To receive more information about my listing services, call Barry or email today.